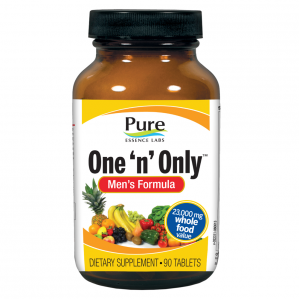 One 'n' Only™ Men's Formula is for men in reasonably good health, who eat at least a reasonably good diet. It is a perfect choice for men who simply can't take more than one tablet per day, providing not only general nutrition, but also factors that help support good prostate health. While we can't get as much nutrition in one tablet as we can in two or three or four, we can promise that no other one daily comes close to the power packed into these one per day formulas. Suggested Use: One tablet daily. May be taken with a meal or on an empty stomach.